The tangible factors that define Sennebogen as a global corporation and a leading heavy equipment manufacturer go beyond offering innovative solutions for difficult projects. What makes SENNEBOGEN different is the extra mile our teams will go to put our customers in a better position - a position that puts them ahead of the competition in productivity and profit. Our line of modular machinery is specifically designed for ease of use and ease of troubleshooting, but its our reputation for reliable customer service, our fast and responsive field service support, and delivering multifunctional equipment built to last in the harshest of environments that has made Sennebogen a global leader in material handling machinery. SENNEBOGEN may be worldwide, but our dedication to each and every client has helped us become the #1 provider of material handlers in the United States. We benefit when your business is at maximum operating efficiency with a minimum of downtime. For your convenience, we bring customer service to the customer by way of our worldwide network of SENNEBOGEN partners, ready to provide fast technical support through a global network of service centers conveniently positioned to address all aspects of your machine's operation, maintenance, and repair. Our machinery is purpose-designed to address the production needs of a specific industry, but they are engineered for multitasking, giving you on-the-job flexibility to handle different operations with one machine. All SENNEBOGEN material handling machines have a modular design concept which translates to unparalleled flexibility to accomplish multiple tasks with one operator. The undercarriage of our units can be modified for different terrains including urban, forested, ports, or construction sites. All of our equipment features multiple attachments to efficiently tackle the job at hand, along with different boom configurations to meet your working range and lifting capacity. In every aspect of service, we put ourselves in our customer's shoes, knowing that wasted time is costly to a project and extensive downtime can negatively impact a company's reputation. That's why we respond so quickly to our customer's needs with next-day delivery of our 98% in-stock inventory to minimize frustration and downtime. 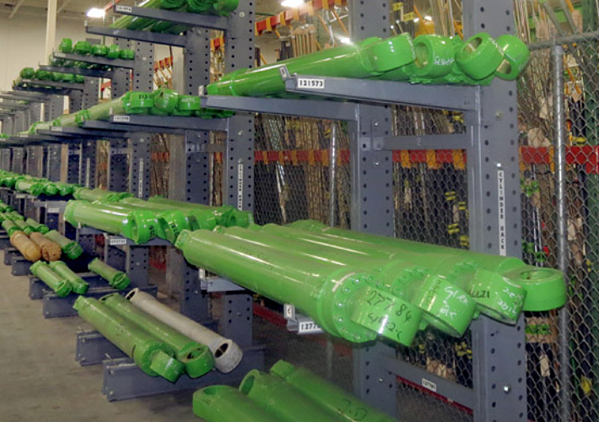 At our North American facility and through our network of distributors we quickly deliver replacement parts when needed for all our equipment. We do this with a simple but fast order processing system and by maintaining a ready network of authorized dealers and distributors to get you up and running in record time. At SENNEBOGEN, we don't operate to cash in on customer training, but quite the opposite, knowing that your success is our success. Our equipment is certainly designed for simplicity, but well trained operators and mechanics are what makes the difference in the field. Our 100,000 sq. 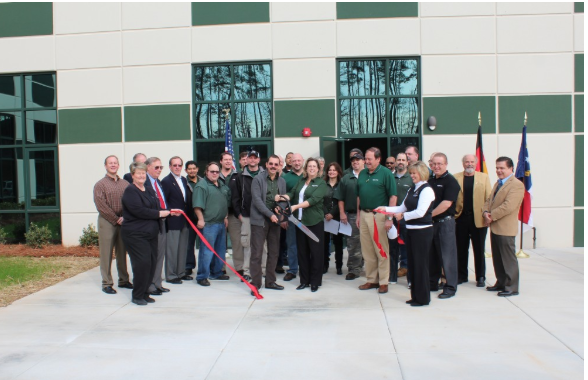 ft. headquarters in Stanley, NC maintains a hands-on factory training center for your in-house mechanics, sales representatives and machine operators. The Training Center is fully equipped for live demonstrations and hands-on access to our machines, including an elevated gallery for a birdseye view of top components. 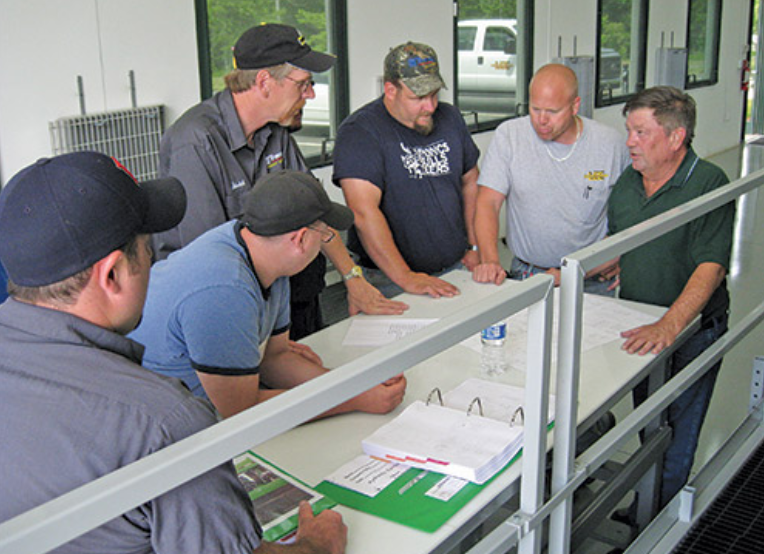 Our highly qualified instructors are material handling specialists and they are field experienced to offer more than book knowledge. Your staff will leave with the technical knowledge and the practical field instruction to begin efficient operations immediately. At SENNEBOGEN, we are committed to building the next generation of technical experts and field operators by providing work and learn programs to high school students. Students with an interest in following a professional career path with the SENNEBOGEN family are assigned to their department of choice. We are committed to building the next generation of managerial staff, customer service agents, equipment technicians, and mechanical designers that get paid while they learn and gain access to rewarding career opportunities. The SENNEBOGEN difference will transform your business to a fast-paced, production focused operation that leans on innovative technology to solve problems on the field. When you partner with SENNEBOGEN, your team is uniquely positioned to quickly complete projects that steadily grow your ability to take on more contracts with less safety risk and reduced liability concerns. 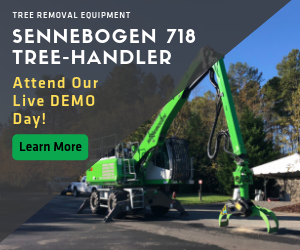 Visit SENNEBOGEN NA to learn more about our material handling machines and our ongoing commitment to solve the unsolvable.